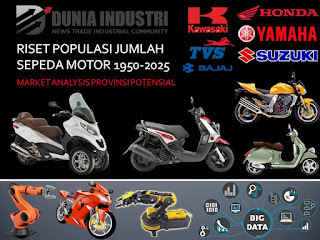 Going into the focus of the study, on pages 9 to 14, the population trends data show the number of motorcycles in Indonesia period 1950 to 2025 estimate. The focus of the study conducted by Duniadindustri.com team is described in detail from the start of the source of the study, method, to the basis of projection on the project page 9. 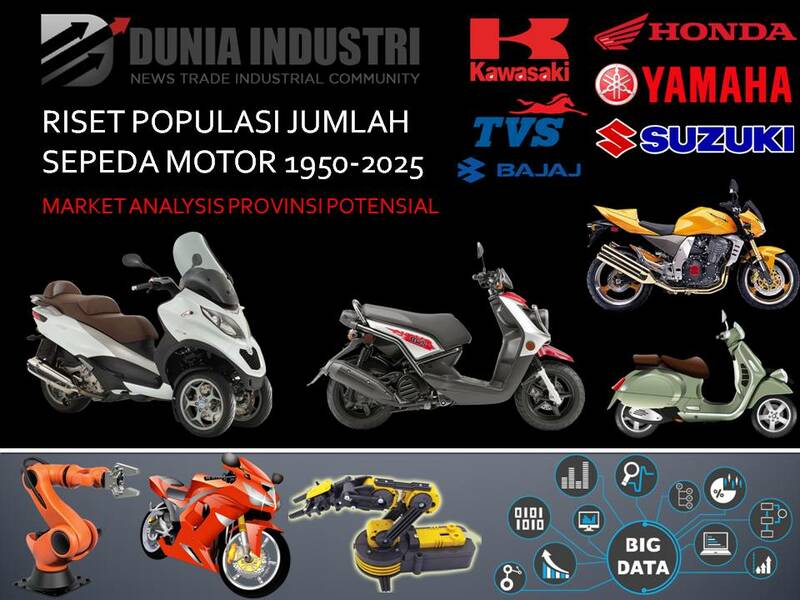 On pages 10 to 14, we present the motorcycle population data for the period 1950-2025 along with the growth trends per year. The data is reinforced by market analysis on page 15, including compound growth per year, highest growth, and others.